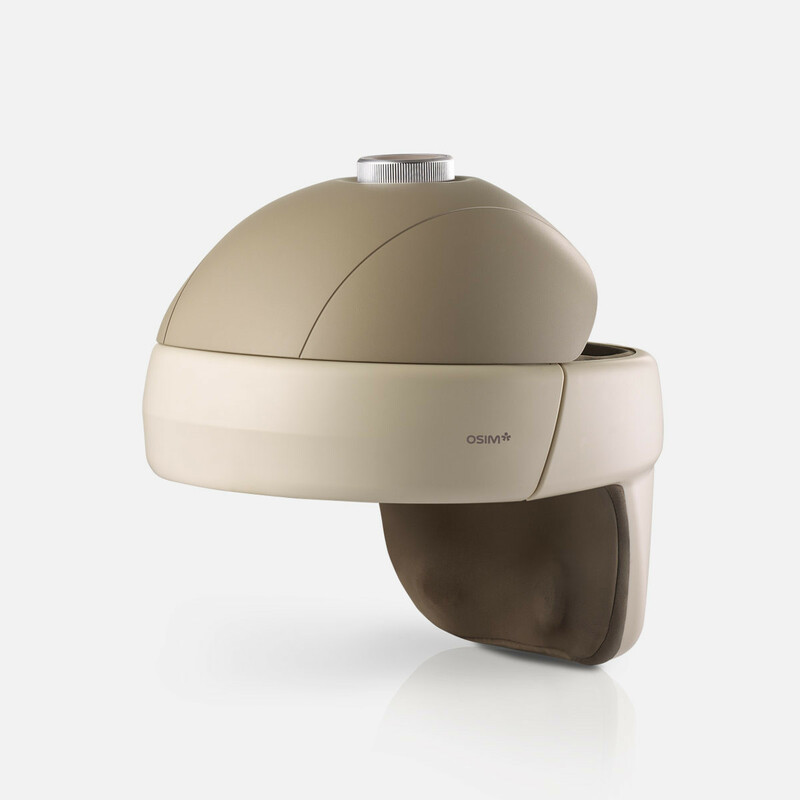 OSIM uCrown 3 head massager combines air pressure massage, vibration massage, with soothing heat and relaxation music to relieve tension, insomnia and stiff neck. In today’s fast-paced world, our busy and hectic lifestyles can lead to high stress levels and take its toll on the body. 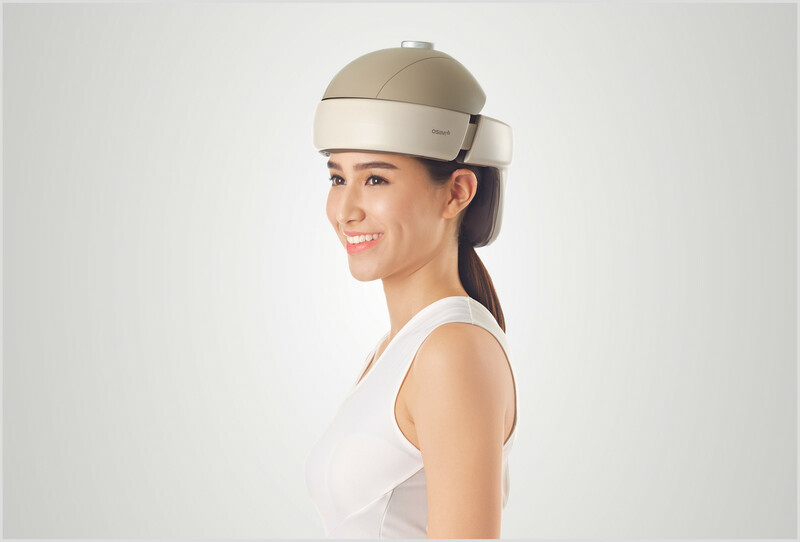 Take just 10 minutes of your day to lower your stress level and recharge yourself with the new OSIM uCrown 3, the head massager that combines air pressure massage, vibration massage, with soothing heat and relaxation music to relieve tension, insomnia and stiff neck. The compounded stress from work pressures to family commitments, and environmental factors decreases our energy levels, often leaving us feeling lethargic and tired. The uCrown 3 effectively relaxes your mind and helps you to restore good energy, enabling you to face daily challenges at optimal physical and mental well-being. De-stress and calm your mind for better physical and mental well-being. Improve concentration and focus to achieve the important things in life. Quality sleepis essential for a healthy lifestyle and it prepares you for the day ahead. Ease tension and promote circulation. It also soothes tired eyes and fights fatigue. Its strategically positioned airbags target vital acupressure points to provide soothing relief for headaches, stiff neck and fatigue caused by stressful lifestyles. When switched on, the uCrown 3’s vibration massage helps to ease tense muscles and improve circulation in your head and neck. 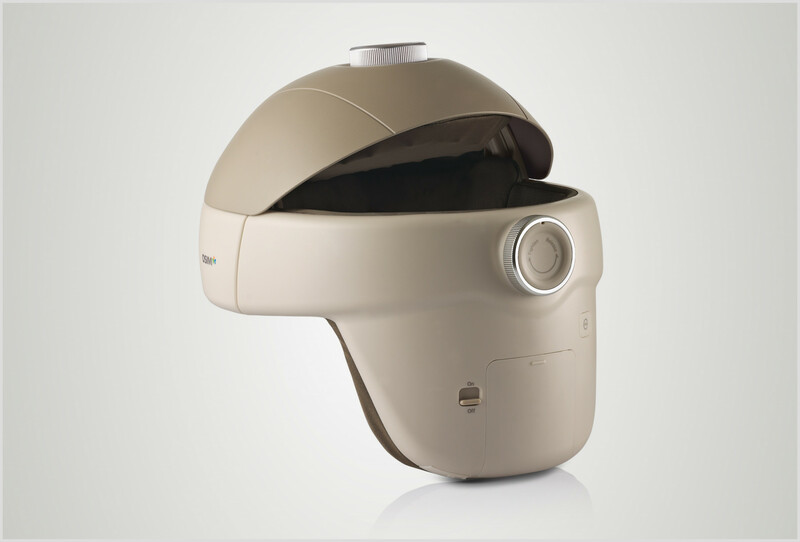 Designed for close and comfortable contact with your head, it delivers a personalized massage for different head sizes. Its adjustable knobs ensure a perfect fit for maximum comfort and effectiveness. 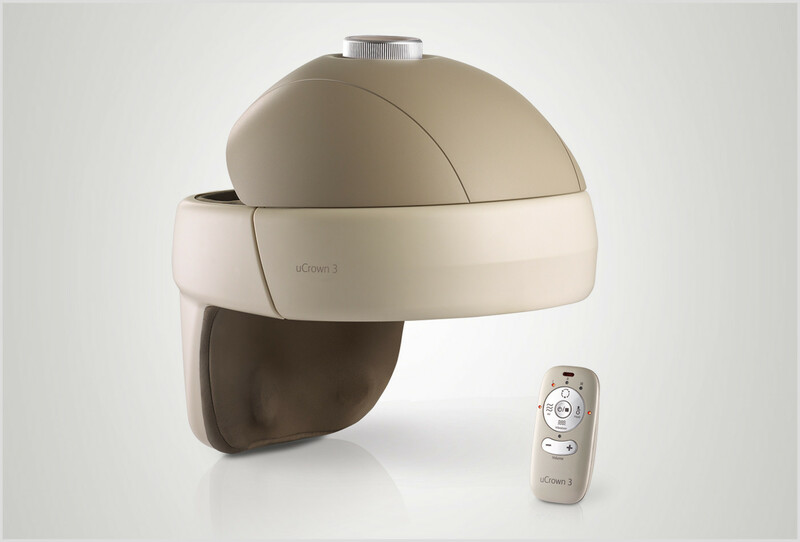 The uCrown 3 comes with a button located at the back of the head massager to release air pressure automatically, with just one simple touch. The uCrown 3 comes with soothing warmth to provide instant relief from aches and strain caused by stress, further enhancing the benefits of the massage. Relax and calm your tired mind with a distinctive music piece designed for each auto program, the uCrown 3 offers you both physical and mental relaxation at the same time. It comes with a pair of earphones and built-in speakers, allowing you to enjoy your music. 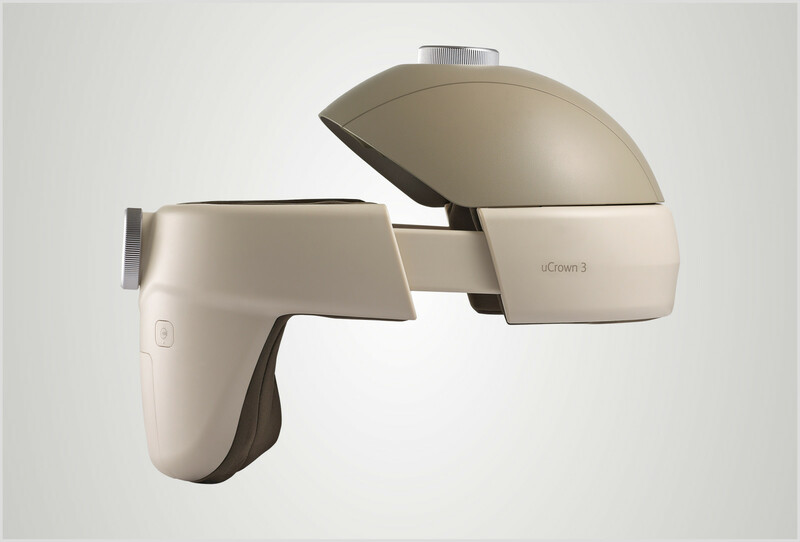 The portable uCrown 3 is powered by batteries to give you a cordless massage anytime, anywhere. The remote controller is also equipped with an auto shut-off safety feature if left idle for 3 minutes, making it safe and energy efficient.